When a horse is frightened, his first means of defence is to run away. When a frightened horse is cornered and can’t escape, he’ll instinctively defend himself by kicking, striking, biting or bucking. These aren’t signs of aggression, they’re simply signs that a horse is frightened and can see no other way out of the situation. 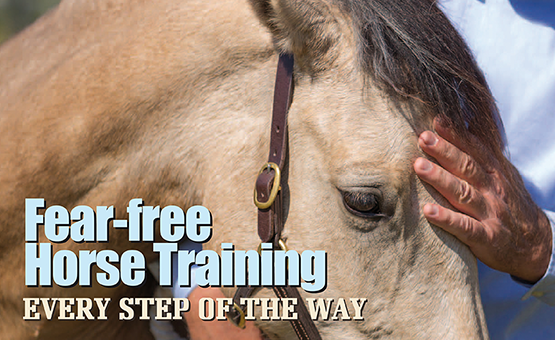 When you handle a frightened horse, he has no idea what you’re doing or what you’re going to do. A frightened horse doesn’t realise that you don’t mean him any harm. When he becomes too worried, he’ll rush away, kick, strike or bite. It’s difficult to realise that the only reason a horse does these things is because he’s frightened. But the truth is, he’s trying to defend himself from what he sees as a threat, and that threat is you. 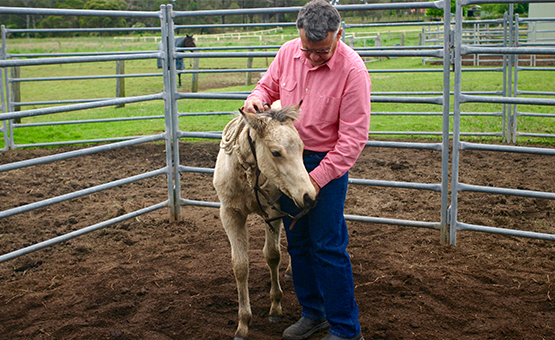 There are plenty of older horses that are labelled as “kickers”, “strikers”, “biters” and “buckers”. Even though they’ve been ridden and handled for years, these horses have never learned to trust people. They’re always frightened and worried. They defend themselves by kicking, striking, biting or bucking. And many trainers say that such horses “lack respect” and should be forced to “submit”. Labelling a horse in this way provides a good excuse and an easy way out for many people. 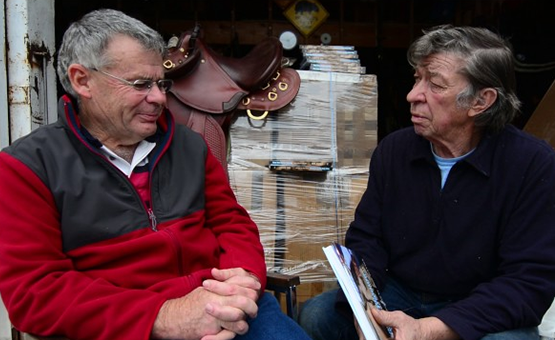 By saying that a horse is a “kicker” or a “bucker”, people effectively eliminate themselves from the problem. They say it’s not their fault when a horse kicks, strikes, bites or bucks. They think there’s nothing they can do because there’s something wrong with the horse. Here’s the thing. Horses initially learn to kick, strike, bite and buck because they’re frightened. Undesirable behaviours always start because a horse is frightened or he doesn't understand what's wanted. 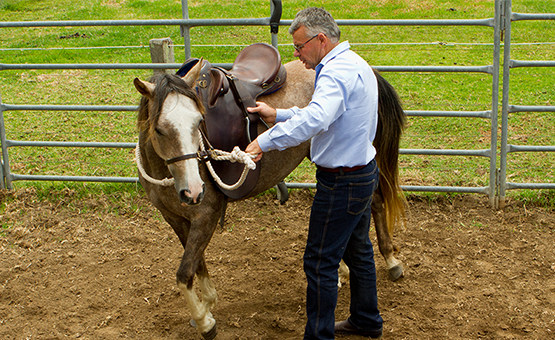 Over time, some horses learn to use kicking, striking, biting and bucking to relieve pressure and to do their own thing. Horses use these behaviours because they have no alternative – they haven’t been taught to be confident and relaxed. If your horse kicks, strikes, bites or bucks, don’t blame him. Remember that these behaviours started because he was frightened and he didn’t understand what was wanted. And remember, unwanted behaviours don't give anyone an excuse to punish a horse. You must teach your horse that life is always easy and pleasant when he does as you ask. You must also teach him that life will be slightly unpleasant when he isn’t doing as you ask. Go to your horse and rub his head. You must overcome his fear, build his confidence and teach him to relax. It’s never a case of forcing any horse to submit.